The NANA Gravel Resource Program is managed by the Natural Resources Department. 1. What forms or documentation are needed for gravel sales? Complete a Gravel Request Form. You may also need to complete a Material Site Permit and Plan Checklist. Once you have submitted the Gravel Request Form to the Gravel Natural Resource Specialist, you will be notified of any further information required. NANA will not authorize a gravel sale unless all forms are completed in full, and all required information submitted. It is the responsibility of the Buyer to submit a gravel request several months in advance before gravel is needed, as it may take 2-3 months to process a request. 2. How do I transport the gravel? NANA is not responsible for gravel transportation, or for developing or maintaining access routes to gravel. 3. What is NANA’s policy on personal gravel use for shareholders? NANA allows shareholders to receive a fixed volume of gravel, royalty-free, on a case-by-case basis depending on the availability of material at an active, permitted, and currently operating site. NANA can only waive its own royalty; Local Operator royalties and transportation fees may still apply. The shareholder is responsible for all transportation costs. As of spring 2018, shareholder gravel is only available from the Hotham Peak Pit in Noorvik. 4. What about asbestos-contaminated gravel in the region? There is naturally occurring asbestos (NOA) gravel at Dahl Creek and Ambler. At this time, access and use of this gravel is restricted. If you are interested in using NOA gravel, please contact the NOA Program to determine requirements. 5. Can gravel be obtained from beaches and rivers in the region? You will need to contact the Alaska Department of Natural Resources for further information, as these areas are outside of NANA’s jurisdiction. For more information (including useful links) about obtaining state-owned gravel visit the NANA Obtaining Gravel from State Resources webpage. 6. Who is responsible for obtaining permits? Buyer, Local Manager, or User shall secure all permits and other authorizations as may be required by governmental authorities. 7. Can sand and gravel be taken from any part of NANA lands? No. Sand and gravel can only be taken from designated sand and gravel pits. 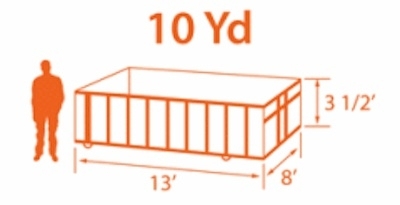 A full-size pickup bed can hold approximately one cubic yard. A standard dump truck has a capacity of 10-12 cubic yards. The standard capacity of a belly dump is approximately 18-20 cubic yards. In some cases, a material site may be managed/operated by a local entity, such as a Tribe/IRA. Contact NANA to determine whether a site is managed by a local entity. If a local entity is the site manager, they are the only approved operator in the pit and has the authority to set any fees associated with mining and providing gravel to a buyer.